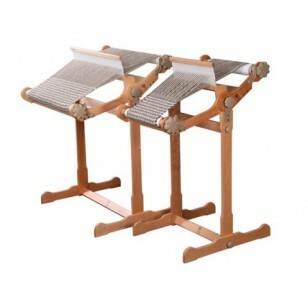 This is a strong and sturdy loom stand for the 20' knitter's loom. 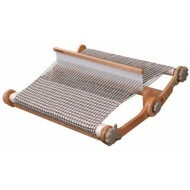 Easy to assemble and attach, with an adjustable loom angle and foot rest. Weave any time and any where without a table. Ths stand is made from lacquered solid Silver Beech hardwood, so it even matches your knitter's loom!